Have you been injured in a slip, trip, or fall due to wet, snowy, slick, or icy conditions or due to the negligence of others? In cases of negligence, we believe in holding people accountable for the dangers their premises present. 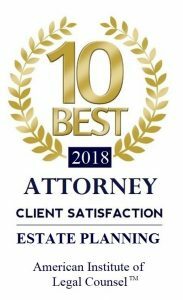 An experienced personal injury attorney from the Piatchek Law Firm can help you get the compensation you deserve, while treating you with compassionate counsel and understanding customer service. Don’t make detailed statements about fault. Record the names of property owners and managers. Take the names and contact information of any witnesses present. Take photographs of the scene and any injuries as soon as possible. Save your shoes and clothing worn at the time of the accident. For answers to your questions about slip and fall accidents or other personal injury cases, call us at 417-882-5858 or contact us online to set up an appointment. We offer free initial consultations for most cases, and we may be available for evening and weekend appointments. We can also arrange a home visit if you are unable to travel to our offices.